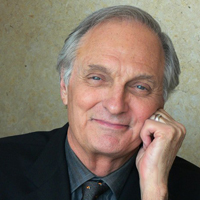 Alan Alda explores the nature of creative breakthroughs with innovators Dean Kamen, holder of more than 440 U.S. patents, and Hugh Herr, Director of the MIT Biomechatronics lab. The instant of inspiration can be as unpredictable as lightening, but true innovators create optimum conditions for transformative insights. What does it take to throw out conventional approaches to a problem and come up with something entirely new? Join us for a discussion about curiosity, passion, perseverance, collaboration and discovery. Before the discussion, join Alan Alda for a screening of the film Flash of Genius, based on the true story of college professor and part-time inventor Robert Kearns’ long battle with the U.S. automobile industry to receive recognition for his ingenuity at any price. 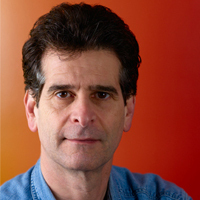 Dean Kamen is an inventor, entrepreneur and tireless advocate for science and technology. 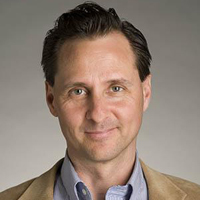 He holds more than 440 U.S. and foreign patents, many for innovative medical devices that have expanded the frontiers of healthcare worldwide.